From passcodes and patterns to fingerprints, phone manufacturers have introduced a wide range of ways to keep your phone protected. Nothing requires less effort than looking at your phone, however, making face unlock the most convenient way to get access to your phone. The technology used to do that varies wildly from one manufacturer to another and Forbes decided to test the most popular phones with face unlock using the next best thing after a mission-impossible-style mask, a 3D-printed head. The fake head took three days to make including the coloring and cost more than $370. Five phones were chosen as test subjects, four Android models - Samsung Galaxy S9 and Note 9, LG G7 and OnePlus 6, and an iPhone X representing team Apple. 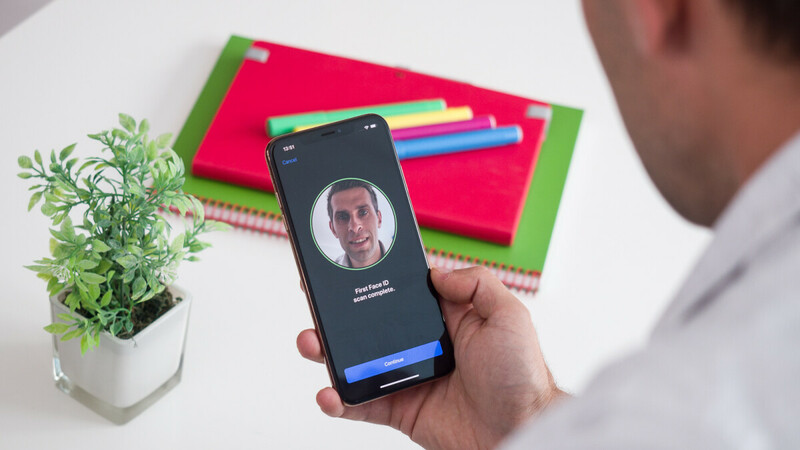 The real person’s face was used to set up the feature on each device, after which the phones were presented with the fake head in an attempt to unlock them. The gypsum noggin unlocked all four Android phones with various ease. The G7, S9 and Note 9 all needed some experimenting with different angles and lighting before the unlock was successful. However, the S9 and Note 9 also offer iris scanning as a security measure, which of course wasn’t fooled by the imposter. Meanwhile, the OnePlus 6 didn’t think twice before opening itself to what’s surely its owner, just more serious than usual. Meanwhile, the iPhone X was having none of it, refusing to accept that the replica deserves access to its secrets, somewhat justifying the enormous notch that houses all the tech needed for FaceID. Keep in mind that the iPhone has no other biometric unlocking method while all the Android phones also have fingerprint scanners and offer face unlock more for convenience rather than security. Does that mean Android users should avoid using face unlock? Of course not. If someone is willing to put that much effort to get in your phone, you have more serious problems than the security of your phone’s face recognition. It will do just fine keeping nosey people from going through your phone, however, and if that doesn’t calm your paranoia, you can always use any of the other methods. ok....so ? People can't WAIT to talk crap about iPhone when they don't have any stock or anything in another manufacturer. Why play sides? Who cares ??? Because Samsung and LGs sales are doing well. The S9’s has been a sales disaster and the worst selling galaxy s phone since the s2. Samsung's one isn't though. It's pretty easy to fool. Samsung Face Unlock works with the front camera and Iris Unlock is a disaster the use. a simple Google search with something like "Samsung iris scanner fooled" will give you a lot of info about it. It's been cracked in less than a month after the launch of S8. That's totally unfair. Compare the lion with a lion. Shoot Mate 20 Pro against iPhone X or XS. All 4 androids listed use front camera for facial recognition. Actually they should just compare it to the pocophone. It has similar tech without the price. The problem is - these android manufacturers market it like it’s the same thing “me too” movement to get you to buy it thinking it’s just as secure. And it’s not. 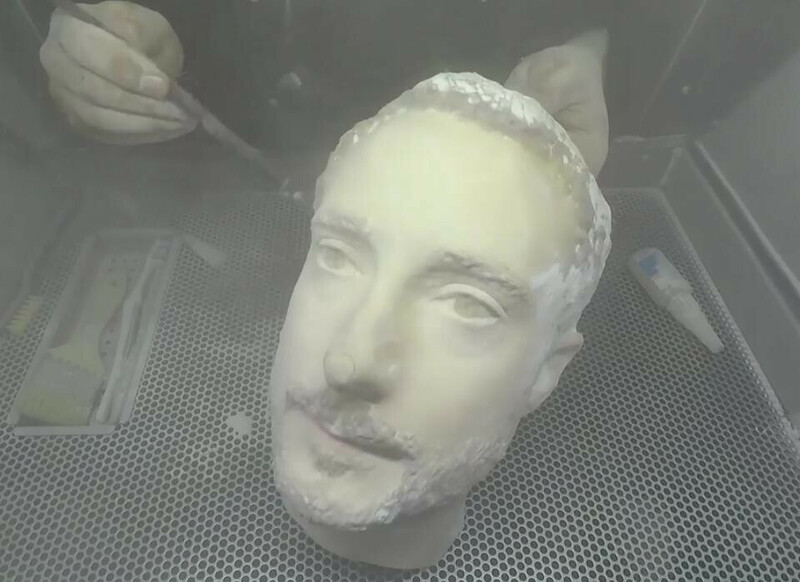 I will say this: if someone is 3D printing my head and take time to match details of my face to the point as to fool even a cheap face unlock gimmick - they deserve my phone - just let me keep this nice statue of me. Something tells me you have no idea what the Me Too movement is about. Something tells me you still got my point. Fingerprint and Iris scanning is the only way to go on any phone. Of course you would say that considering Samsung has Iris Scanning as a feature. I'm not even an iPhone or Apple fan but didn't a lot of people saying Android has this feature a very long time ago when Face ID launched? Some like to move the goalpost back. Maybe people that didn't understand the tech did. But apple was first with it. My friend had the X, I've got the mate pro. I think Apple's face I'd seem more reliable than huawei to recognize you quicker but that said, this article is still misleading as it is comparing to different techs (no matter what android fans said when face id came out). Actually, Microsoft was first with face unlock. It’s two different things to just use a camera for face unlock and one to use ir emitting to in depth recognise the bone structure below the skin. This is a totally iPhone-biased test! Why wouldn't they include an Android phone with a 3d scanner....such as the Mate 20 Pro or a Xiaomi Mi 8?? Forbes is a joke. Look at its other clickbaity articles. Totally agree, as the rest of their articles. Only the tech illiterate at Forbes would compare convenience unlock methods vs secure unlock methods. So you are saying iris isn't convenient? Good thinking. Not the point of my comment as you are well aware but It could certainly be sped up but at least it doesn't require a separate swipe to get home.